Work is progressing steadily at the West Towns site. Crews have been pouring the concrete footings for the town home foundations. Once the footings are complete the next phase of foundation work will begin. 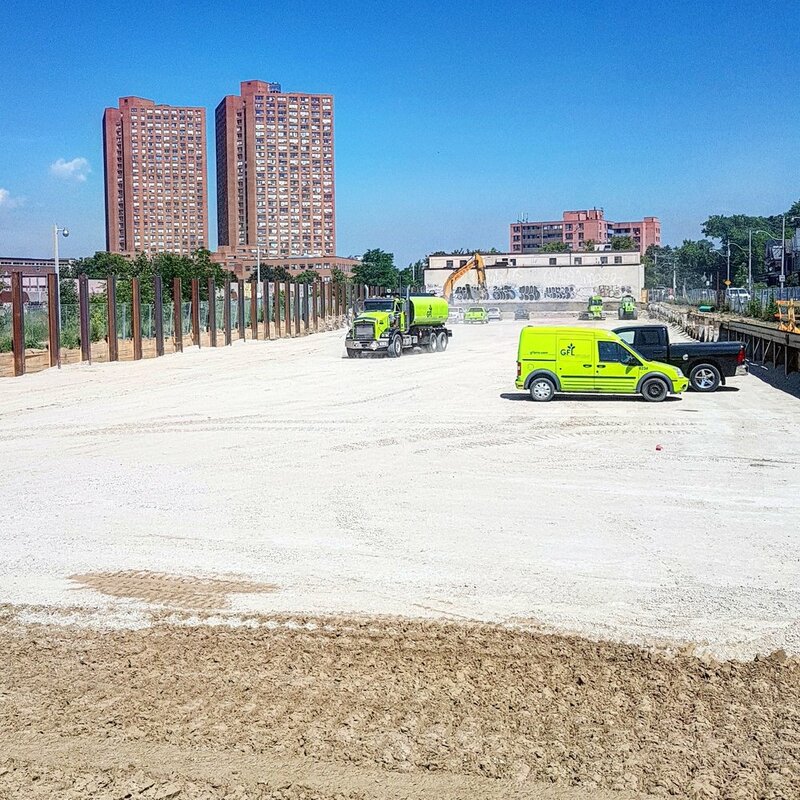 In August, we expect that municipal servicing will begin to be connected to the site. More information will be provided once details and schedules are confirmed. As work progresses, care is being taken to ensure there are no significant traffic impacts. The Auto Building’s restoration work continues to progress. 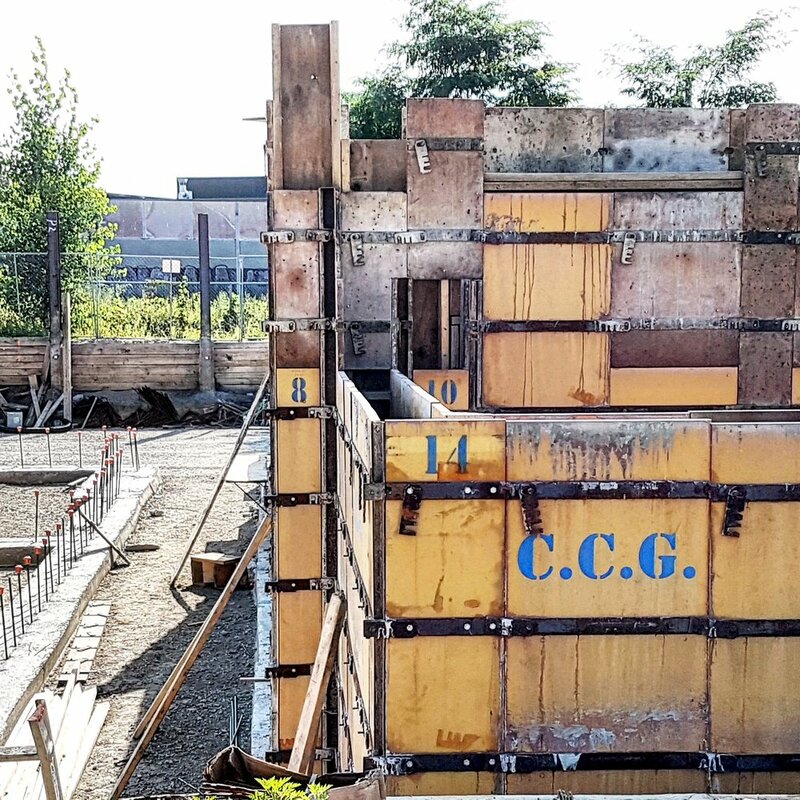 This month has seen the completion of the main elevator slab on the basement level, as the installation of lighting systems and ductwork continues. Studs for the interior drywall that will form studios and offices to the Museum of Contemporary Art Toronto are being installed on the 4th and 5th floors. Studs are also installed on the perimeter walls on the 4th, 5th and 7th floors. Steel beams for the 10th floor roof and north lights have been installed. 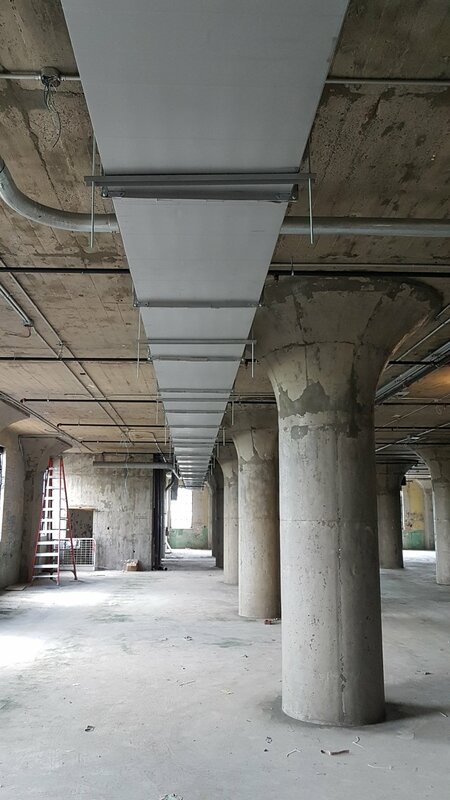 Sealing has been completed for the columns and the concrete floors have been sealed and polished on the 4th, 5th and 7th floors. 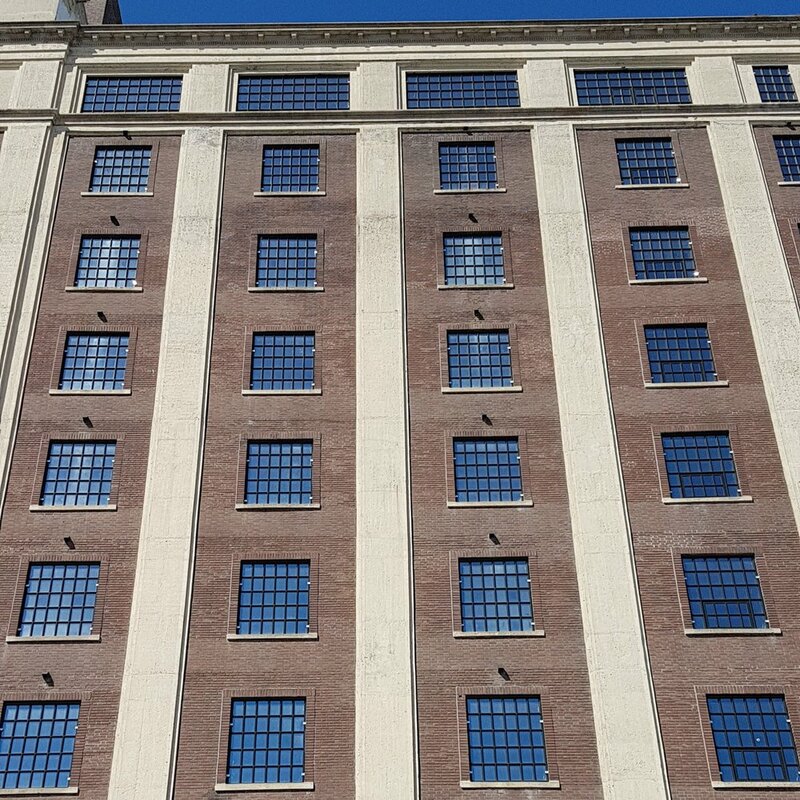 Sealing and polishing work is set to begin on the 3rd and 6th floors. 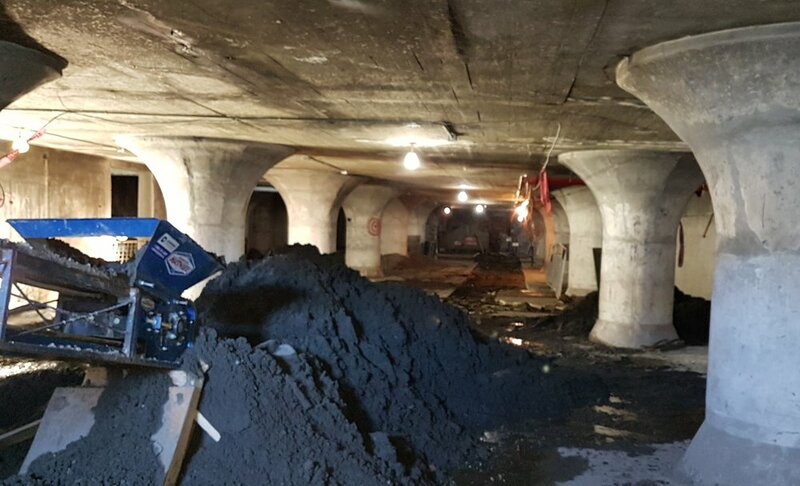 On the north exterior of the Auto Building, excavation and preparation work is underway to install a storm water management tank and sanitary sewer connections. This work will continue through the balance of the summer. Work continues to progress at the West Towns site this month. Excavation and soil removal work are now complete across the site. The site has been prepared for work the next phase of work to begin. This will include concrete forming and pouring. Upcoming work on the site will also include the introduction of water and electrical services to the site. 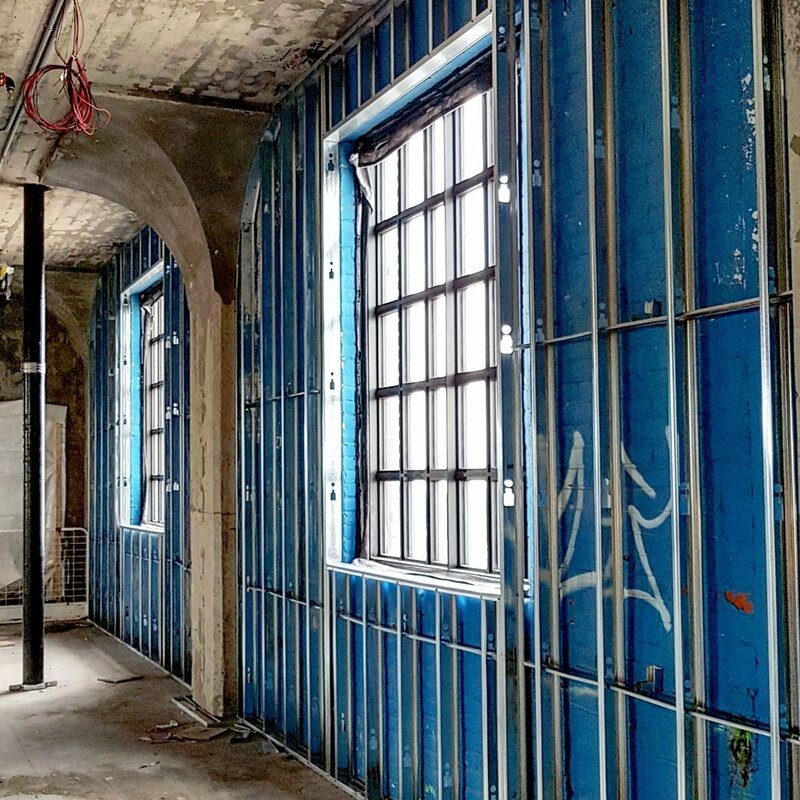 Restoration work continues at the historic Auto Building, with electrical, sprinkler and plumbing systems reaching all floors of the building. Almost all the new windows have been installed with the remainder to be fitted into place by early July. Work continues in the basement level as electrical, heating and cooling systems (HVAC) and plumbing system components are being put in place. The installation HVAC equipment continues throughout out the building and this work will continue over into July. The next phase of work on the West Towns site is underway. Shoring the perimeter of the site has started, which will be followed by excavation work shortly after. To begin the shoring process, holes will be drilled then steel I-beams will be placed in position. 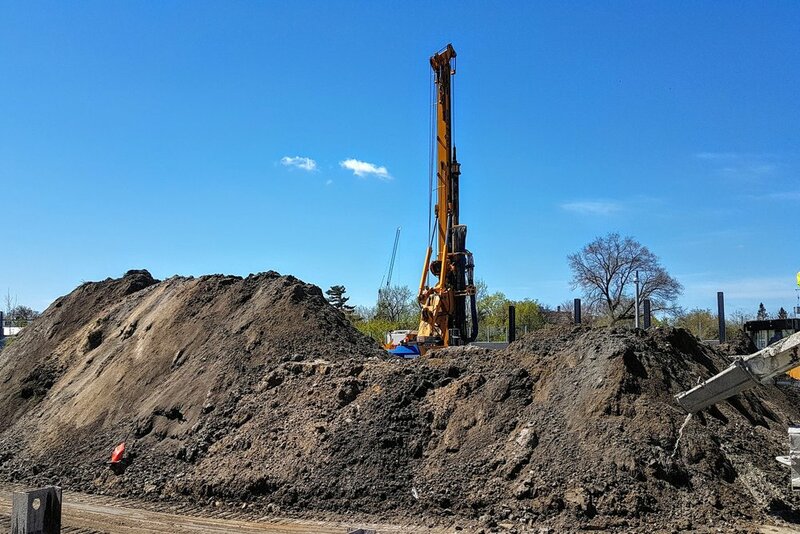 A drill rig arrived on site on April 20th. Drilling is expected to continue through the coming week. Vibration levels will be monitored and kept within permitted limits. 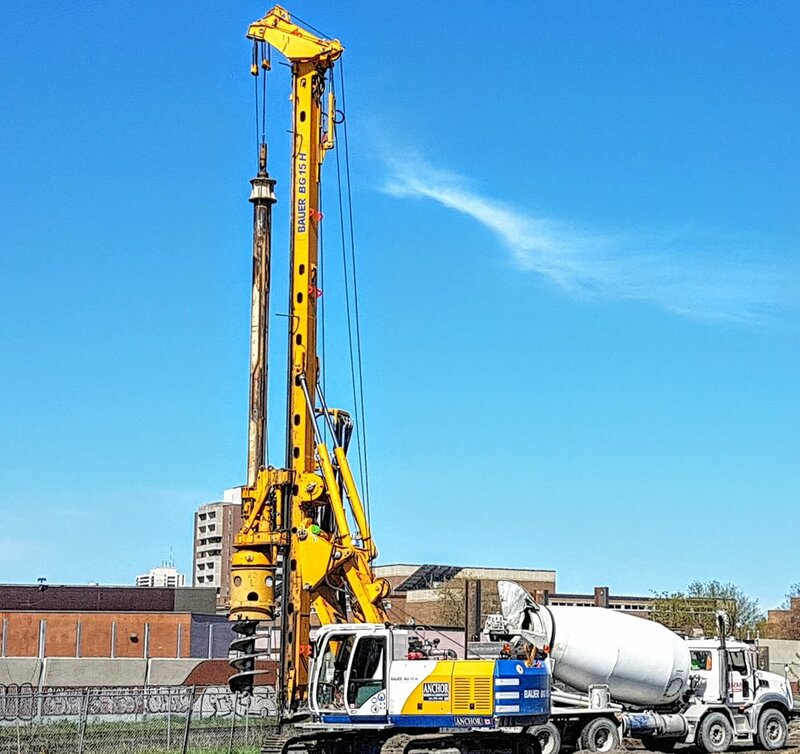 Construction hours on the site will be in accordance with the City of Toronto Construction Noise by-law [Toronto Municipal Code Noise § 591-2.1] with work occurring Monday to Friday between 7 am and 7 pm. If required, additional work is permitted to take place between 9 am and 7 pm on Saturdays. Castlepoint Greybrook Sterling Inc. (CGSI) has provided an alternative to street parking for residents on Perth Avenue. A portion of the land at the corner of Perth Avenue and Sterling Road has been made available for those with parking passes. If you live on Perth Avenue and wish to have a parking pass please contact Philip Share or Brett Rycombel, Co-Chairs of the South Perth And Sterling Road Residents Association. Philip Share may be contacted at 416-706-2469. Work continues on the lead project in the Lower Junction, the Auto Building at 158 Sterling Road. With the new windows installed and a temporary heating system, work continues on the interior despite the impact of late winter cold and snow. The Auto Building has many unique architectural and design features. 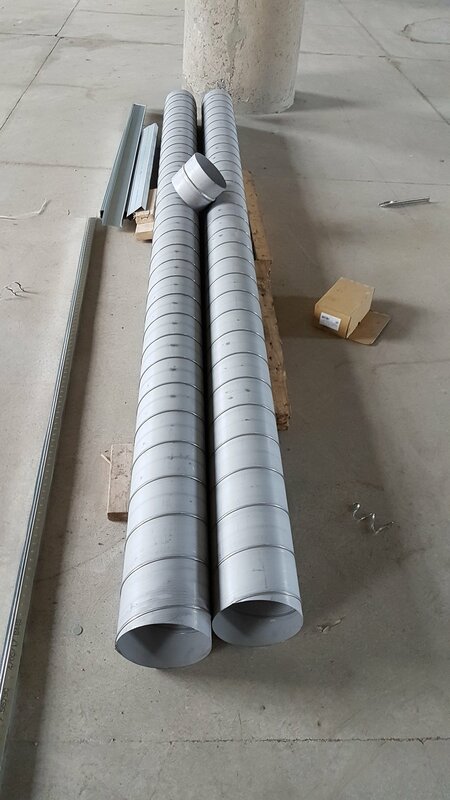 One of the these features is that the columns on each floor vary in thickness. The most slender columns are on the top floors and as the floors descend the columns increase in breadth in order to provide additional structural support. The recent return of winter has delayed planned work on Perth Avenue, the site of the West Towns. However, construction is still scheduled to commence this month, March 2017. 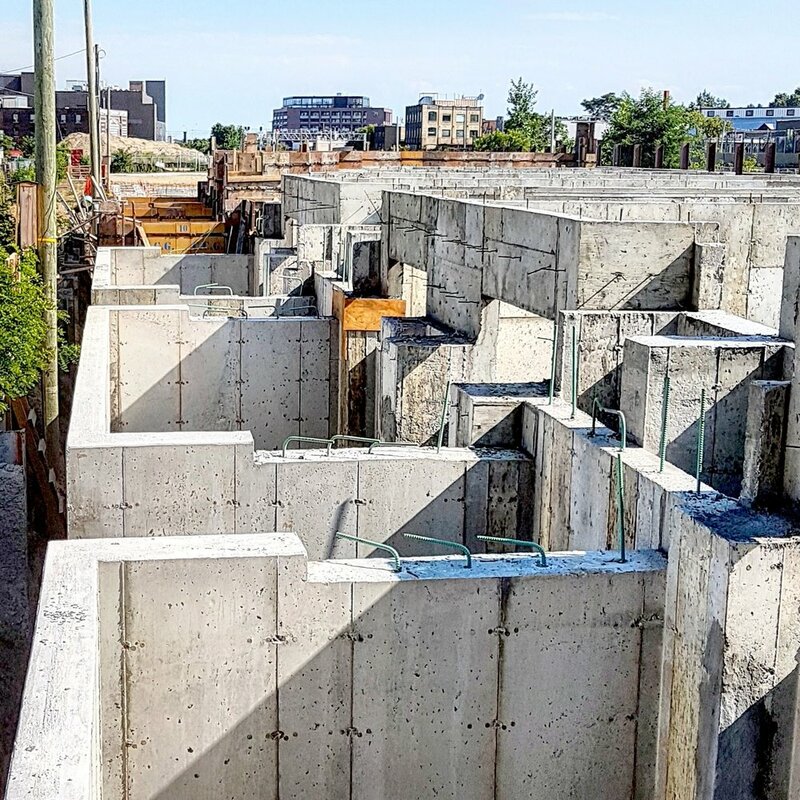 The first step will be the mobilization of machinery and work crews to prepare the site for shoring operations, including shoring the future crash wall and shoring systems along Perth Avenue. It is anticipated that these activities will be ongoing into through the month of April. Site planning and coordination is ongoing on subsequent stages of construction. We will provide an update at the end of March. 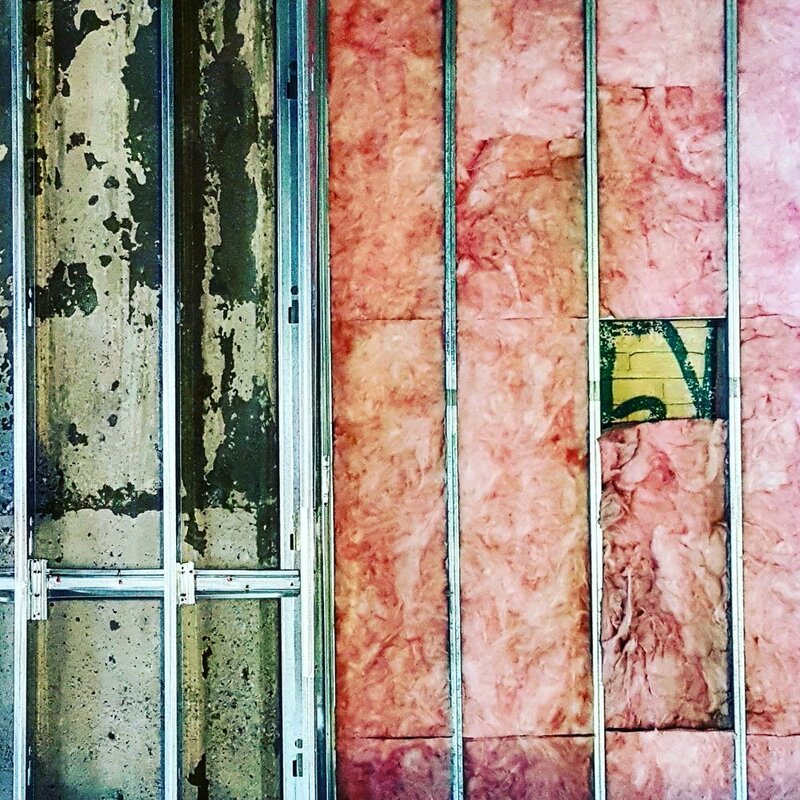 Work continues to progress steadily inside the Auto Building at 158 Sterling Road. The focus continues to be split between restoration and the introduction of new and necessary services, such as electrical wiring. The heritage focussed work seeks to repair and preserve key elements, such as the original (circa 1920) wooden doors that were set at the opening of each floor to the main north and south stairwells. These doors are being set aside and will be lightly restored and then put in place as decorative features once restoration work is complete. The window surrounds are being worked on to prepare them for waterproofing and the installation of new windows. 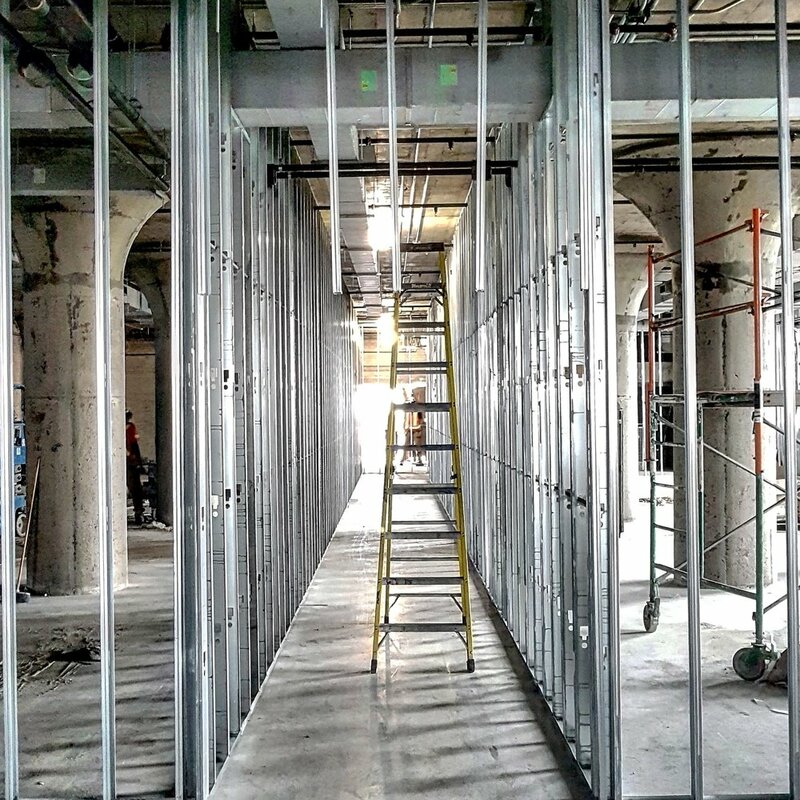 Electrical conduit and wiring is continuing to be installed on each floor. Work is expected to proceed more rapidly next month and we will check back in on progress next month. Work has begun in the approximately 8-acre Lower Junction neighbourhood. 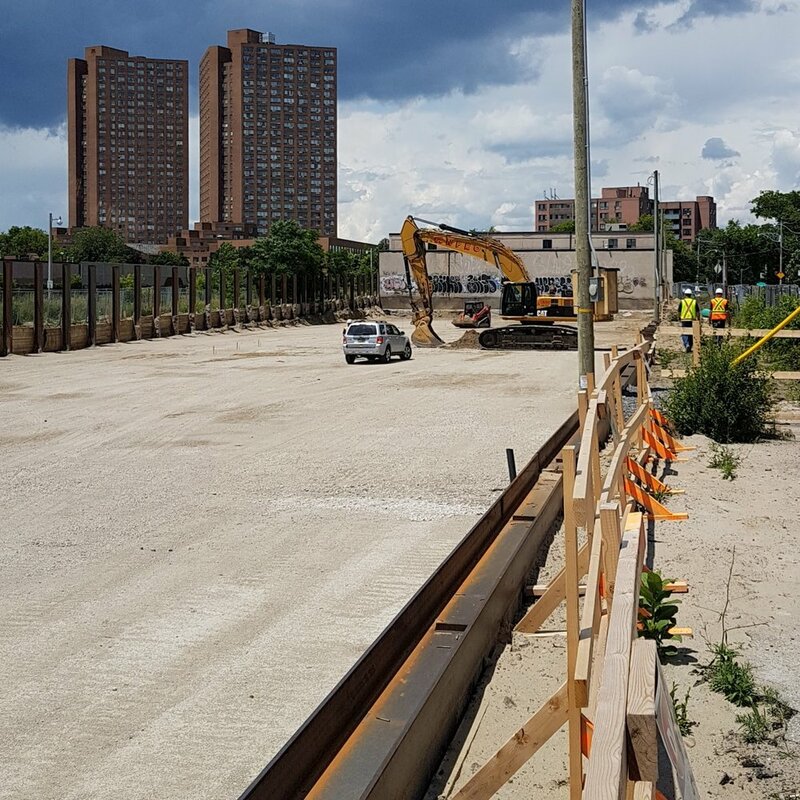 Since the beginning of Spring, rehabilitation and restoration work has been underway at the Auto Building at 158 Sterling Road, which at 57 meters will continue to be the tallest and most prominent building within the neighbourhood. This work is part of the first phase of fives phases to be developed in the Lower Junction community. The Auto Building, circa 1919, was originally used to manufacture aluminum projects and until the early 2000s auto parts. As an industrial heritage structure, it is now being restored and renovated to host new cultural and creative users. The Auto BLDG. will be the new home of the expanded Museum of Contemporary Art_Toronto_Canada (MOCA), who were formally in the West Queen West neighbourhood. MOCA will be occupying 5 floors of the 10-storey building and are targeted to open their museum in spring 2017. Removal of graffiti from the interior of the building. Remediation and removal of existing windows. Hydrological and geotechnical investigation throughout all development blocks. Adjacent to the Auto Building there will be some audible construction noise during permitted hours: Monday to Friday from 7:00 am to 7:00 pm and Saturdays from 7:00 am to 6:00 pm. Museum Flats, located adjacent to north of the Auto Building, will be a 10-storey mixed use building (day care facility and commercial areas on the ground floor and residential above) designed by Peter Clewes of architectsAlliance, featuring an iconic perforated metal architectural skin. Marketing of Museum Flats has commenced and is generating a strong sales response. Construction of the Museum Flats is not expected to commence in 2016. The re-opening of the bike path connection from Sterling Road to the West Toronto Railpath is expected to open in June 2016. The new interim connection is located south of the Auto Building. In late June, the Pavilion Project, which is a project that aims to celebrate innovative and emerging design and architecture, will be hosting a community meeting, in partnership with Councillor Bailao’s office. The meeting will be held in the evening at the Lower Junction Sales Gallery, located at 213 Sterling Road. The Pavilion Project team will circulate the agenda and meeting details shortly. The Pavilion Project will be hosted within the Lower Junction neighbourhood in Spring/Summer 2017.